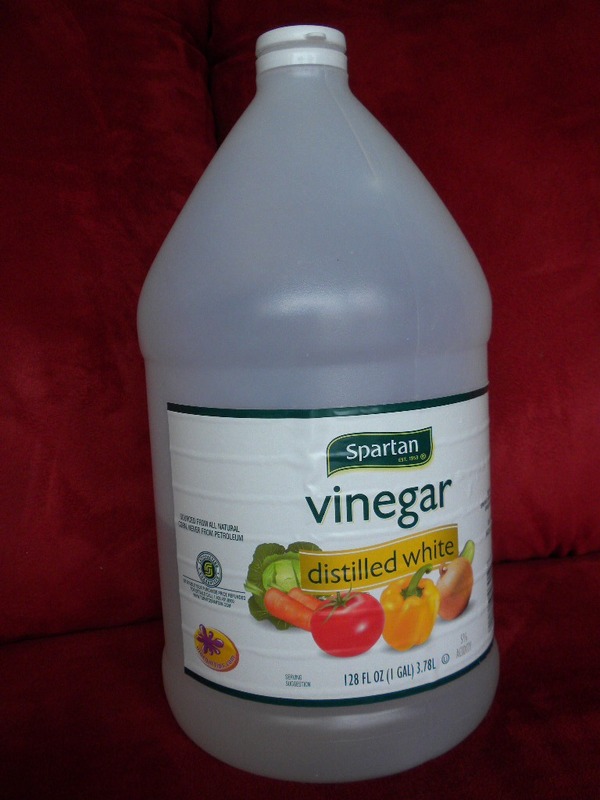 Depending in the size of the pot or pan, add 1/2cup or 1cup of white vinegar into pan. Add the same amount or less of water. 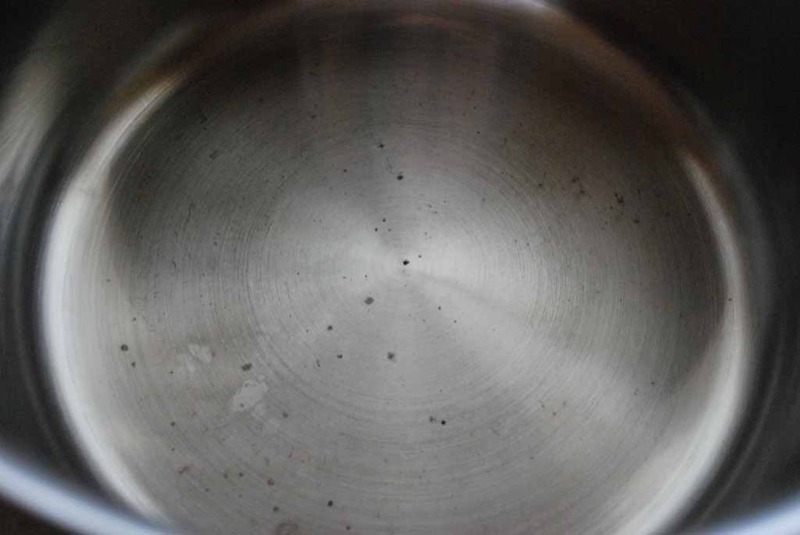 Let it boil until you see the stain lift and disappear ! 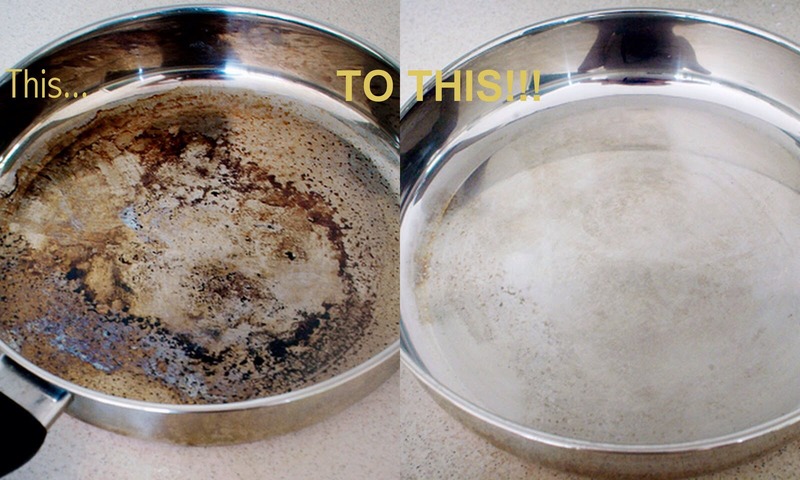 Wash out the pan and enjoy your pot/pan the same way it was brand new! !